Diversification, Dollar Cost Averaging, Indexing, Cash-rich Stocks, CD’s, Bank Stocks or Gold. There Are Many Strategies, But Which Are The Best? Total protection of your money from a market crash is impossible. However, you can minimize your risks and protect most of your investments with a few precautions. Thus, it is possible to keep most of the assets in your 401K safe in a bear market. However, you must be careful not to sacrifice your portfolio’s ability to grow to avoid risks. Instead, you need to balance security and growth. Fortunately, achieving such a balance is easier than most people realize. There is no foolproof strategy that will keep your portfolio safe. However, you can mitigate your risks with basic moves like diversification. The first strategy for protecting your nest egg is diversification. To explain, put your money in several places so you do not lose everything. For instance, invest in different stocks and U.S. Treasury Bonds. An example of basic diversification is 20% tech stocks, 20% finance stocks, and 20% energy stocks. In addition, invest in several good dividend stocks so you will have money coming in. A great rule to follow is to have at least 50% of your 401K funds in dividend stocks. Finally, having part of your funds outside of stocks will keep part of your money from a crash. Simply, having 20% of your funds in CDs or Bonds can ensure you will have cash. The most important protection from any market correction is to have a steady stream of cash coming in. Even, a small but steady cash payment can protect you. Thus, you need to keep part of your 401K in a CD or treasuries or other investment that pays cash interest. In addition, you can augment that income with dividend stocks. The smartest strategy is to reinvest that cash in your 401K to grow the portfolio. Hence, you must take advantage of compound interest. When you compound you reinvest interest in the principal to grow the investment. Hence, it pays to own dividend stocks, and cash-generating investments like CDs even if the payout is low. Conversely, such investments will pay off best if you reinvest the cash. Strangely, a simple index fund that tracks a basic index like the Standards & Poor’s (S&P) 500 is one of the safest investments around. For instance, the annual return of the S&P 500; the 500 most valuable publicly traded companies in America, between 1926 and 2018 was 10%. Notably, that period includes four stock market crashes in 1929, 1987, 2000, and 2008. Yet the overall market growth continued despite World War II, the Great Depression, the Cold War, September 11, many political crises, and other cataclysmic events. Indexing can protect your money because it diversifies it. For instance, the S&P 500 contains a wide variety of companies in different businesses. Additionally, indexing protects your money from emotions because it is automatic. Hence, nobody’s prejudices are influencing how they pick the stocks. Instead, an algorithm picks the stocks using simple criterion; such as the companies’ value. Thus, putting 10% to 25% of your 401K in an exchange-traded fund (ETF) like the State Street S&P SDR 500 (NYSESARCA: SPY) can protect your money. However, indexed funds are vulnerable to to short-term losses. You can provide an additional layer of protection by automatically reinvesting extra cash in an indexed fund. For instance, you can invest dividends or bank account interest in an S&P 500 indexed fund. Thus, you could lock in a 10% growth rate for at least part of your money. Therefore, you can make compound interest part of your 401K and ensure that some of your money is growing. Moreover, you can enhance compound interest by combining it with the S&P 500 which has a long history of growth. Dollar Cost Averaging In Stocks is a Great Way for Long-term Investors to Maximize Profits & Lower Risk. Analysis of Bull, Bear & Sideways Markets. Learn the advantages and disadvantages. 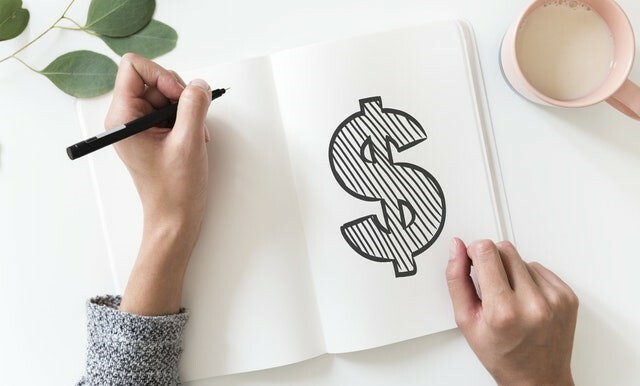 Dollar Cost Averaging is a method of investing whereby an investor scales into a long-term investment with a fixed amount on a regular basis (e.g. monthly). When the price of the investment goes down they receive more shares for their money and when it increases they get less. This averages down the cost per share promoting a successful outcome. Some companies are in a far better position to survive and thrive in a stock crash than others. In particular, companies with a lot of money grow and make more money in a crash. For instance, Warren Buffett’s Berkshire Hathaway (NYSE: BRK.B) expanded during the stock market crash of 2008. In fact, Berkshire Hathaway (BRK.A) bought the Burlington Northern Santa Fe Railroad (BNSF) for $26 billion in cash and stock in 2009. Berkshire could buy them because it had lots of cash. Hence, investing in companies with large amounts of cash on hand is a great way to protect your portfolio from a market crash. You can learn how much cash a company has by checking its balance sheet. Companies list cash as cash and equivalents, short-term investments, or cash and short-term investments in their balance sheets. Concentrating your investments on high-cash industries like finance and technology is a good way to protect yourself from crash effects. Moreover, avoiding low cash companies like retailers is a good way to protect your funds. Finally, a simple rule of thumb you can follow is to only invest in companies with at least $20 billion in cash. Such companies are more likely to profit and grow during a crisis. Another strategy Buffett uses is to let the government protect his money. For example, two of the five biggest investments Buffett lists in his 2018 Berkshire Hathaway shareholder letters are giant banks. Those banks are Wells Fargo and Bank of America (NYSE: BAC). Interestingly, Wells Fargo and Bank of America are two of the infamous “too big to fail” financial institutions. That means the US federal government must bail those banks out in a crisis, because their collapse could trigger a depression. In fact, the federal government bailed Wells Fargo out with $25 billion during the 2008 financial crisis. Moreover, Wells Fargo paid a dividend of 45₵ on March 1, 2019. Therefore, Wells Fargo is a dividend stock which adds another layer of protection. Hence, Buffett protects his money by investing in institutions the government is likely to rescue during a crisis. Hence, Buffett lets the taxpayers protect his funds by investing in big banks. Buffett’s thinking is that banks can run to Washington for help during a major crisis. Furthermore, the politicians will have to bail the bankers out to keep the crisis from getting worse. You can use the same strategy by investing in big banks. Plus, banks offer another layer of protection in the form of lots of cash. For instance, Wells Fargo had $173.287 billion in cash and equivalents on December 31, 2018. Moreover, Goldman Sachs (NYSE: GS) had $130.547 billion in cash and equivalents on the same day. Additionally, the Federal Deposit Insurance Corporation (FDIC); a government agency, insures most individual bank accounts in the United States. Under those circumstances, banks offer the highest level of protection against a market crash. Finally, bank stocks often pay very good dividends. For instance, Goldman Sachs will pay an 80₵ dividend on March 28, 2019. Consequently, you can reinvest the dividend in more bank stocks or savings to add more protect to investment. Under these circumstances, bank stocks or bank stock exchange-traded funds are one of the best means of protecting your 401K from a stock market crash. Banks are stocks are not fashionable but they can protect your money. The greatest mistake you can make is to take your funds out of stocks and put them in alternatives like precious metals and cryptocurrencies. You must avoid precious metals because they lose value and do not recover. For instance, the highest historical price for an ounce of gold is $2,128.42 recorded in February 1980. Somebody who bought gold in 1980 at that price is still underwater because the inflation-adjusted price has not gotten close to $2,128.42 in 39 years. In fact, the price of gold was nearly $1,000 lower; at $1,317.30 an ounce, on March 21, 2019. Therefore, precious metals provide no protection from market crashes. In fact, you will lose more money with precious metals because you will miss out on stock market gains. Specifically, $2,128.42 invested in the S&P 500 in 1980 would have grown to $6,517.82. In addition, the inflation-adjusted return on that money with dividend reinvestment was 11.353%. In the final analysis, a gold investor will lose money and miss out on stock market gains. Hence, gold is not a good hedge against stock market crashes. Notably, there were three major stock-market crashes; 1987, the 2000-2002 Dot.com bust, and the 2008 meltdown during the years between 1980 and 2019. Yet the S&P investor still received an 11.353% return on his investment. Thus, precious metals do not belong in your 401K if you want to make money. Next-generation financial technologies like cryptocurrencies are even more dangerous than precious metals. For instance, all cryptocurrencies lost 80% of their values between January and September 2018. Thus, the cryptocurrency crash of 2018 was worse than the dot.com crash of 2018. Bloomberg claims. For example, Ethereum (ETH); the second most popular cryptocurrency, had a Coin Price of $539.27 on March 24, 2018. However, Coinmarketcap calculates Ethereum’s price fell to $137.32 on March 24, 2019. Consequently, cryptocurrencies are far more unstable than stocks so you should stay away from them. Cryptocurrencies are more unstable because they are a new technology that most investors do not understand. Obviously, cryptocurrencies do not belong in your 401K because altcoins are more likely to crash than stocks. Therefore, stay away from cryptocurrency unless you have a high tolerance for risk and money to burn. Finally, history proves stock market crashes are rare events that long-term market gains will make up. Thus, the best way to keep your 401K safe is to keep your money in the market and wait. Notably, the stock market erased all the losses from the 2007-2008 crash by October 2012, just four years later. If you leave the money in the market, the market will probably recover and make up your losses. If you pull your money out, you will have cash but inflation will reduce the money ‘s value. Consequently, simply waiting out the market is still the best way to protect your money from a market crash.